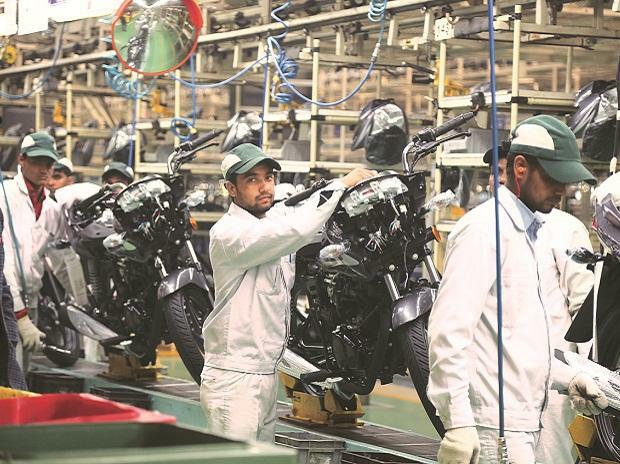 Pune-headquartered Bajaj Auto claims to have surpassed volumes sold by market leader Royal Enfield in the 350-500cc motorcycle segment in February. It attributes this to the Dominar, a 373 cc premium sports motorcycle it launched in December, at an ex-showroom price of Rs 1.36 lakh. Enfield says Bajaj is celebrating too early. He claims that two of every 10 Dominars was sold to customers who owned an Enfield. “Some have sold it to buy Dominar and some have bought it as their second bike.” He added there had been a decline in the waiting period of some of Enfield's motorcycles. The 350-500 cc segment for Enfield includes the Bullet 500, Classic 500, Thunderbird 500 and Himalayan. 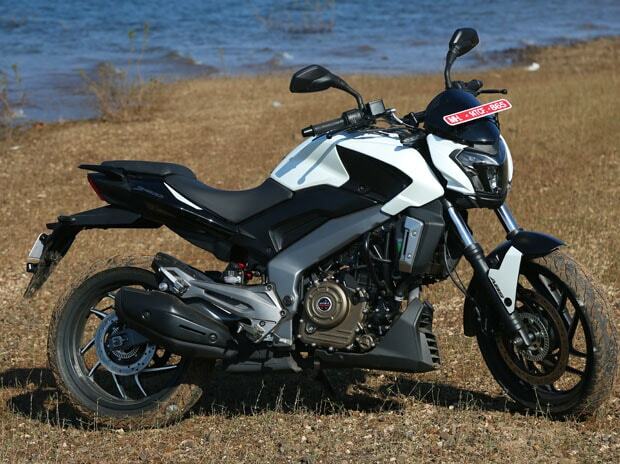 Bajaj hopes to gradually raise Dominar volumes to an output of 10,000 units monthly in about six months. “The bike has been accepted very well. 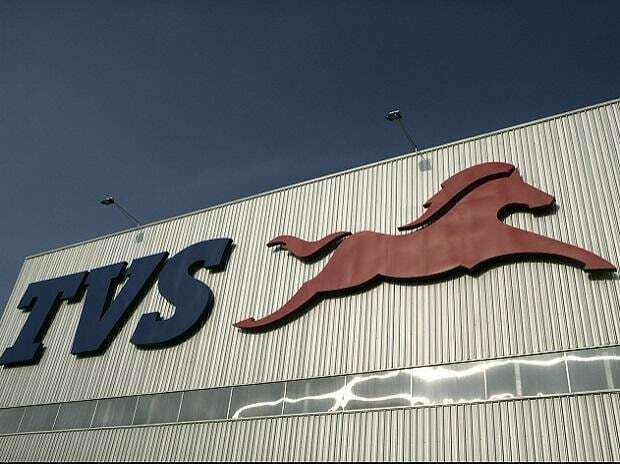 We should reach a monthly volume of 6,000 units by next month,” said Vas. He did not disclose cumulative bookings for the Dominar. He said most customers bought it after test rides. Vas said the volumes were aggregated from the 22 cities where itwas available until February. "We have expanded reach to 32 cities and it will be available in a 100 cities and towns by end-March. In April, the company plans to add another 100 cities and towns. The constraint is more on the capacity front than on the network side,” he said. Bajaj said the incremental volume from Dominar would start reflecting in the profit figures once volume crossed 5,000-6,000 units a month. 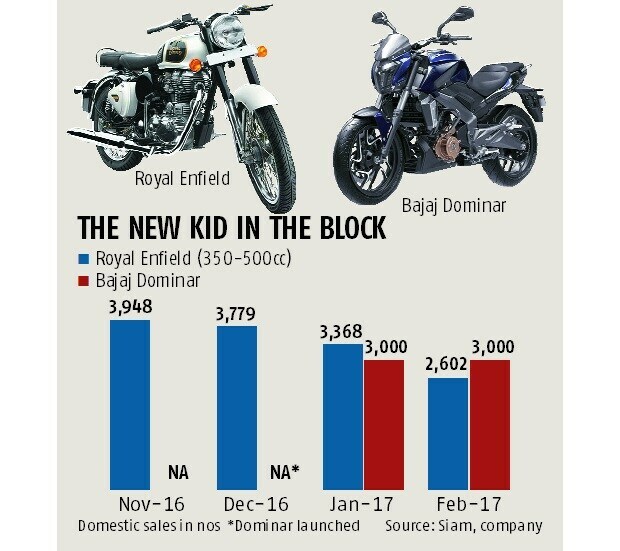 Enfield has almost the entire 250-350 cc motorcycle market in the country, estimated at close to 50,000 units a month. This is where it gets the lion’s share of its sales. In the 350-500 cc market, it controls 80 per cent (data for the first 11 months of FY17). This is a much smaller segment, with monthly volume of 5,300 units. 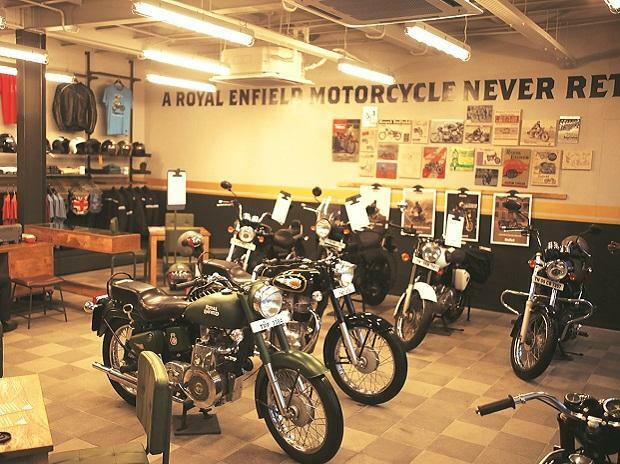 Siddhartha Lal, managing director of Eicher (which owns Enfield) told Business Standard last month that it would continue to engage with the target segment and expand reach to grow volumes. “When one succeeds in a segment, others try to enter and take a bite. Of course, there will be competition but we are not worried,” he'd said. It is understood that Enfield’s production volume in February was impacted due to fewer days (February having only 28) and the transition to BS-IV emission norms.